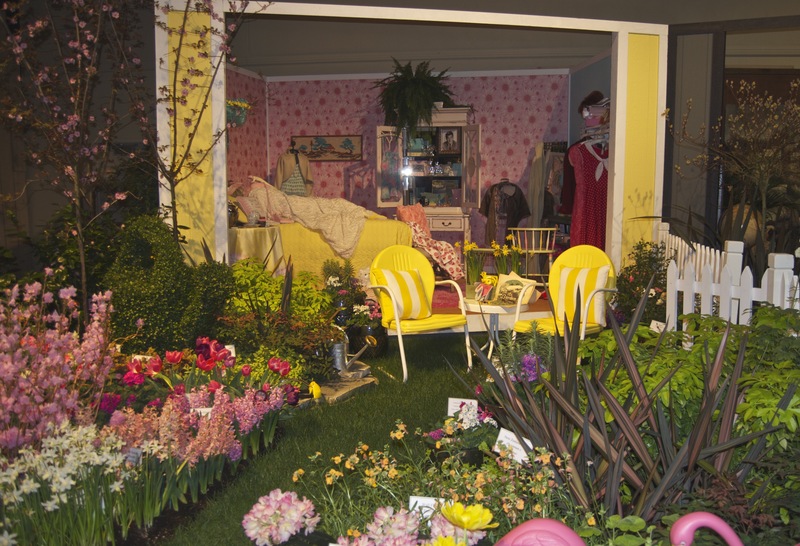 Flower and Garden Shows: What’s Not To Like! 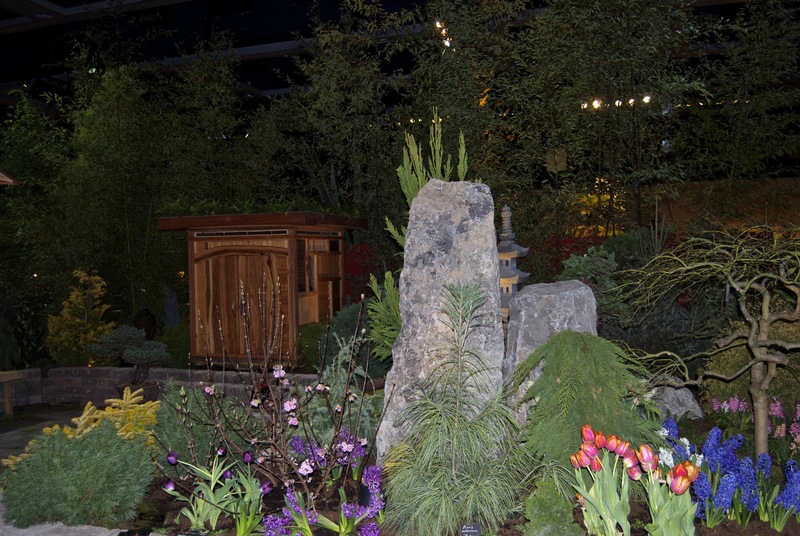 I had the opportunity a few weeks back to leave Winter behind and head to Seattle for a sneak peek of Spring at the Northwest Flower and Garden Show. Oh what fun it was! Not only did I get to spend some time with a great friend but together we enjoyed fantasy gardening at its best, ascertained advice, tricks, and tips from well-known garden gurus and walked aisles of plants, garden decor, bulbs, seeds, tools, growing aids, and other garden related products. Afterwards, we wrapped up the evenings with a little fantasy shopping (think flagship Nordstroms), some vino and fresh Foodie creations in a beautiful city… so tell me, what’s not to like! 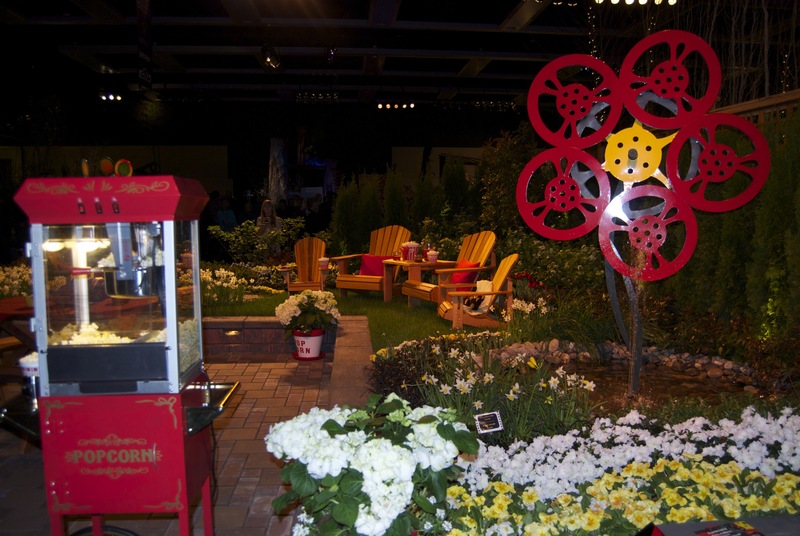 Fantasy Fuels the Imagination – The gardens at garden shows are decadent. 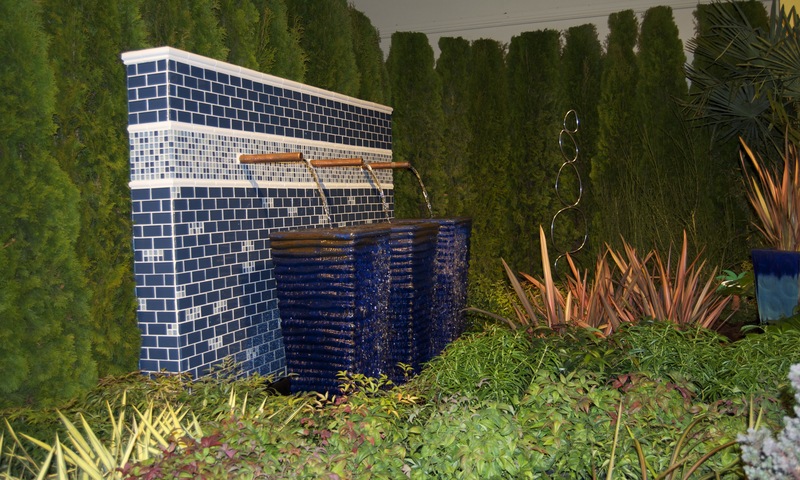 Whether it be plant combinations, interesting hardscape materials, furniture, lighting, water features or in many cases, all of the above, they present an outdoor setting that is completely perfect – just waiting for human presence. 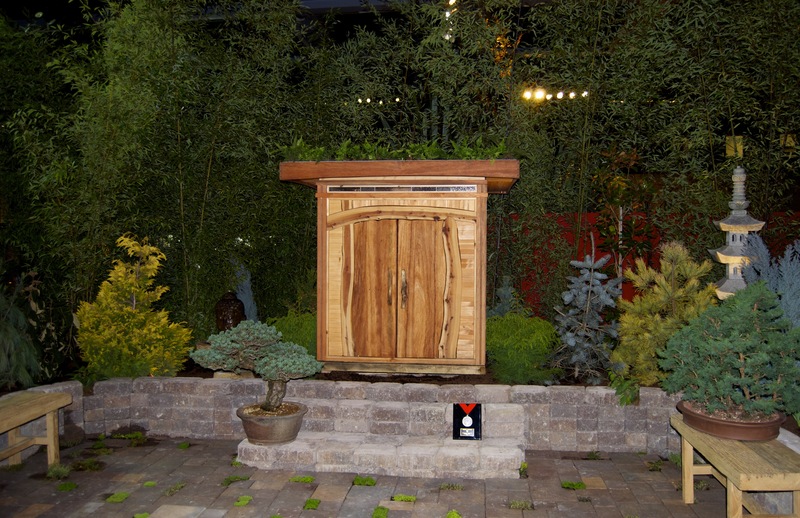 This is very alluring to the gardener’s soul and you can’t help but begin to think about how a bit of “the fantasy garden” can be transported to your outdoor area. Of course, I know gardens of great magnitude can be expensive, time-consuming, and difficult to maintain. (I didn’t just stick my hands in the dirt for the first time yesterday, you know!) But these artful canvases are for exploring possibilities and just like any worthwhile passion, it is fun and exhilarating to spend time thinking BIG without boundaries and opening up to undiscovered possibilities. To me, this helps fuel the inspiration for makings changes in your garden and evolving as a gardener and even an individual. 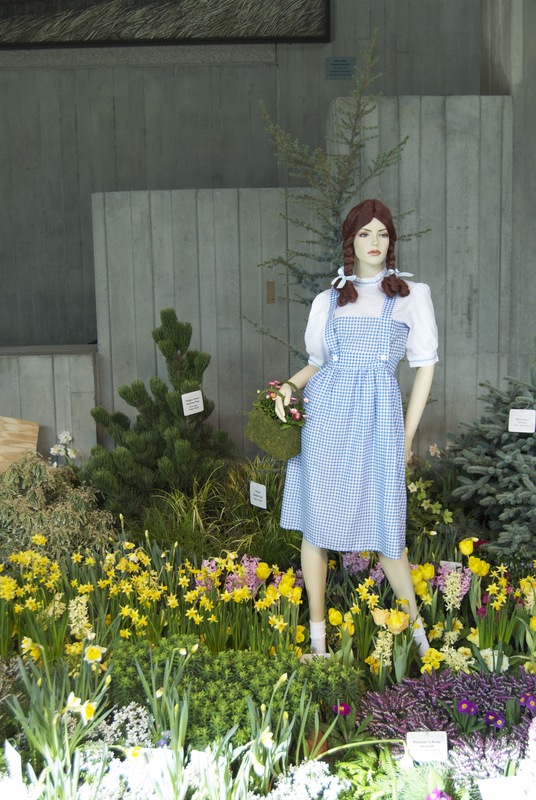 Here are some shots of my favorite “fantasy gardens” all based on movies as the show was celebrating its 25th Anniversary and the theme was Silver Screen takes root…Gardens Go Hollywood. Have A Seat and Learn Something New – O.K. 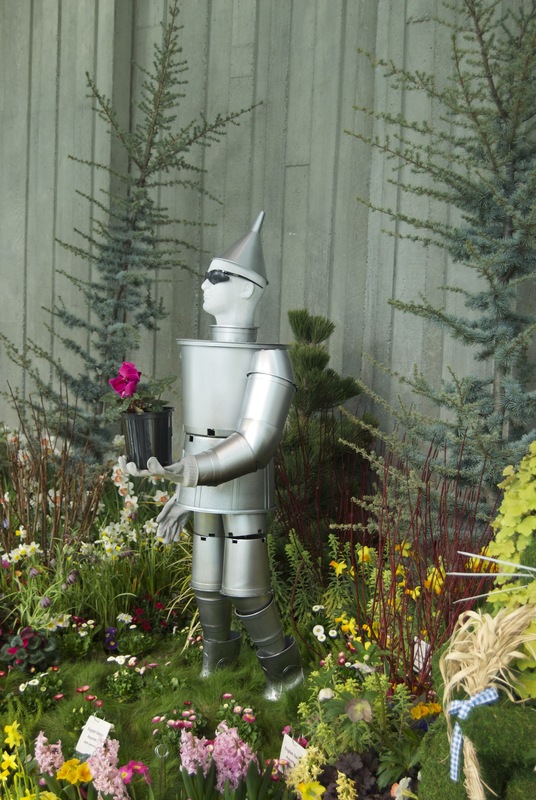 say you have absorbed so much fantasy that although you live in a dry climate, you’re dreaming of creating a tropical garden and hiring a garden boy named Tatoo, it might be time to check out a garden seminar. The NWFG show offers a robust line up of seminars each day, featuring some of the gardening industry’s best-known experts. 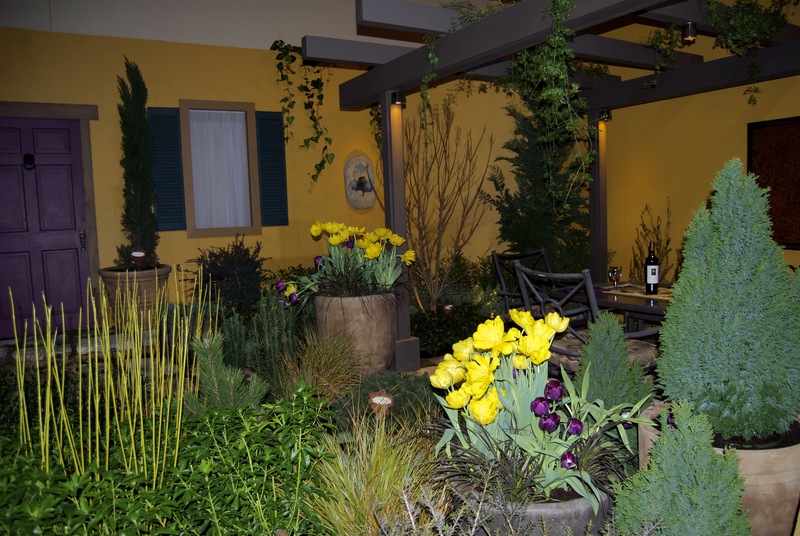 This year I caught Helen Yoest on “Gardening with Confidence, Adding Your Style,” Ciscoe Morris on “Turning Your Garden Into A Wildlife Sanctuary: Attracting Birds and Butterflies” and Robin Stockwell on “Succulent Survival” in the Pacific Northwest. Whew! A lot of great information and such badly self-written notes! Seriously, each seminar provided me with more knowledge on plants as well as new ideas to evolve my garden. I especially enjoyed Ciscoe Morris ( garden Superstar of Washington) as he injects a great deal of humor in his interactions and offers so much happy energy to the crowd. I was even lucky enough to pick up a copy of his book “Ask Ciscoe” and get it autographed. My new plant list for attracting hummingbirds to my garden is pretty cool too. And Crocosmia ‘Lucifer’ you’re at the top! Oh My! The Marketplace! – This part of a show can’t be missed and this is where after resting a bit in the seminar, you turn on the stored energy! It’s time to scour the hundreds of plants and garden accoutrements selecting your own personal “must haves” for the coming season. Here’s a small sample of some of the treasures I spotted. I even brought some of them home! 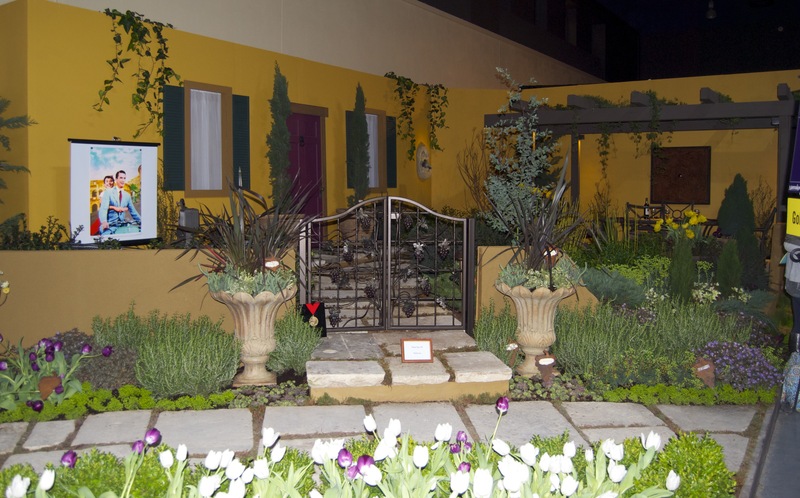 The Wrap Up: Garden shows are a grand event where one gets to see endless forms of creativity, learn about the latest trends, hear about the greatest plants, rub elbows with garden experts and experience the energy of a group of people who are excited about life and growing it! So really, what’s not to like?! 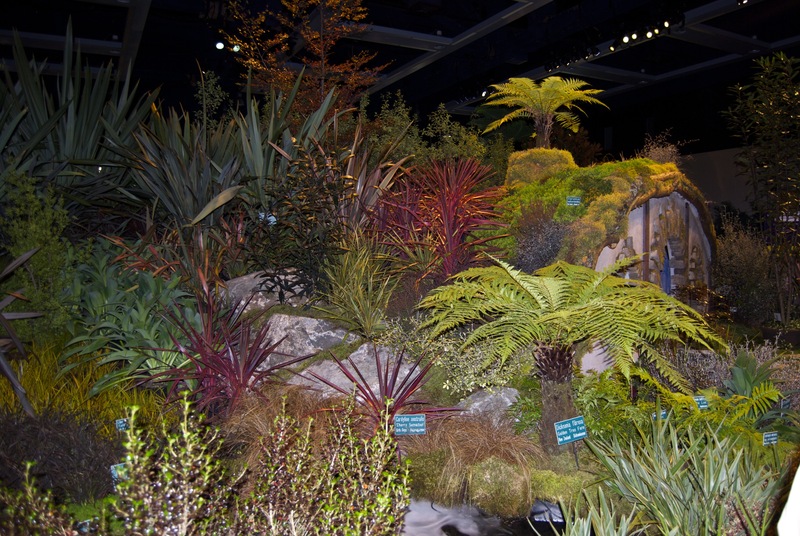 A little encouragement here to get to the upcoming Boise Flower And Garden Show being held this weekend at Boise Center starting Friday, March 22 – Sunday March 24. You can see the full line up of activities here. All of the fun you’ve just read about along with wrapping it up with some vino and fresh food (my favorites Fork or Red Feather) in a beautiful city can be yours this weekend! Today I’m joining Donna@Gardens Eye View and her Seasonal Celebrations meme. 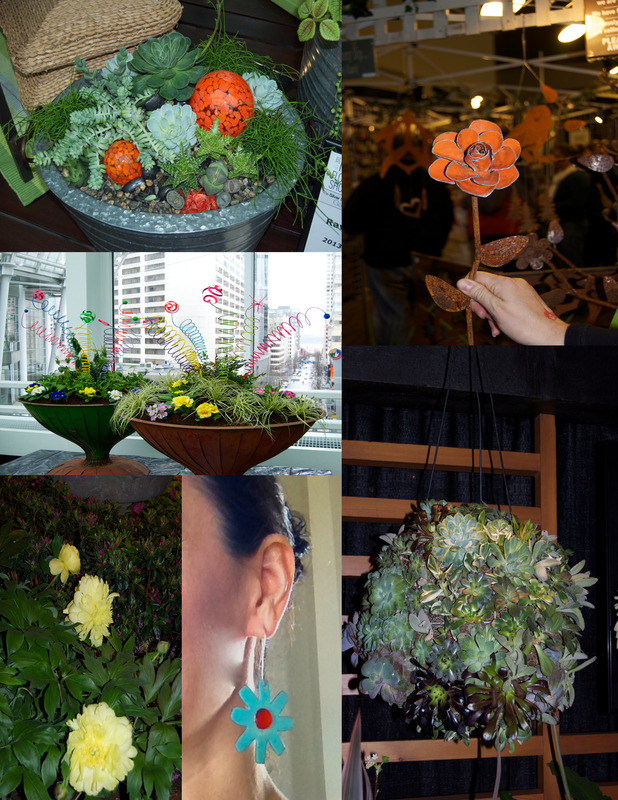 One of the ways I celebrate the arrival of Spring is by attending at least one Flower and Garden Show. They provide just the right amount of celebration as the season begins to bring out my gardening best! 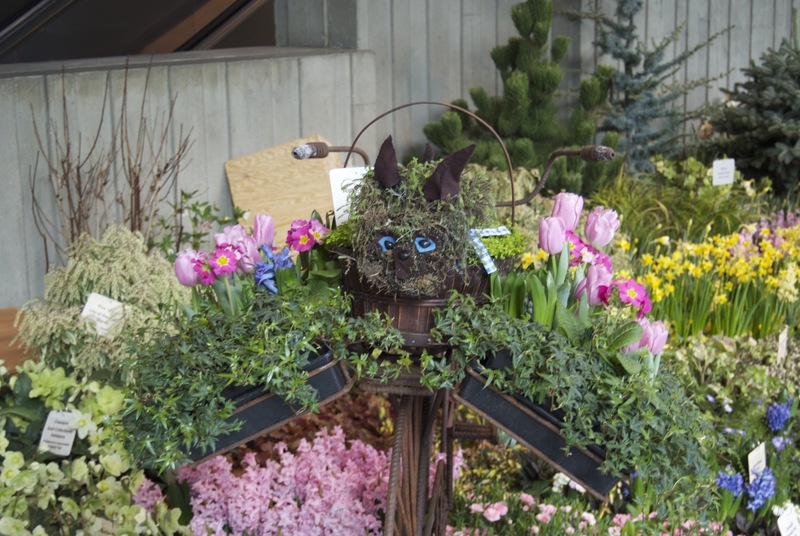 Check out Donna’s blog to see how other folks celebrate the arrival of Spring. I love the roman holiday garden. I have only gone to one flower show when I lived in Wisconsin, but I’m thinking I should try to catch more. They really are fun! I took a break for a few years from them but now I have really enjoyed catching at least one per year. Andrea what a great way to celebrate spring. I added this post to the wrap up post. 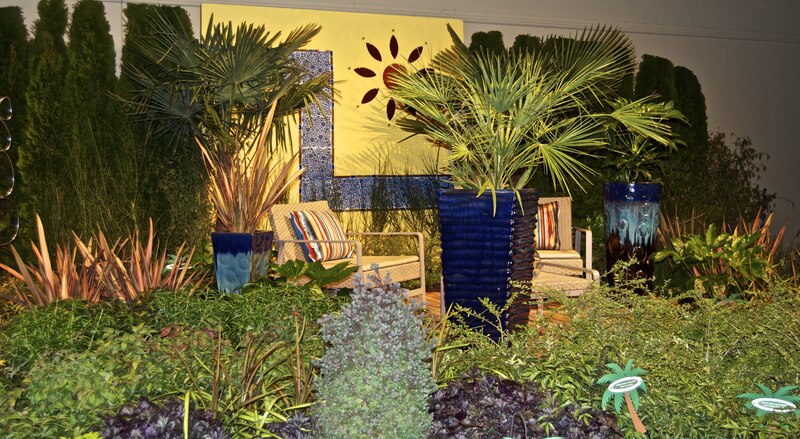 I hope one day soon to get to this wonderful garden show…perhaps we will meet there then. I would very much like that. 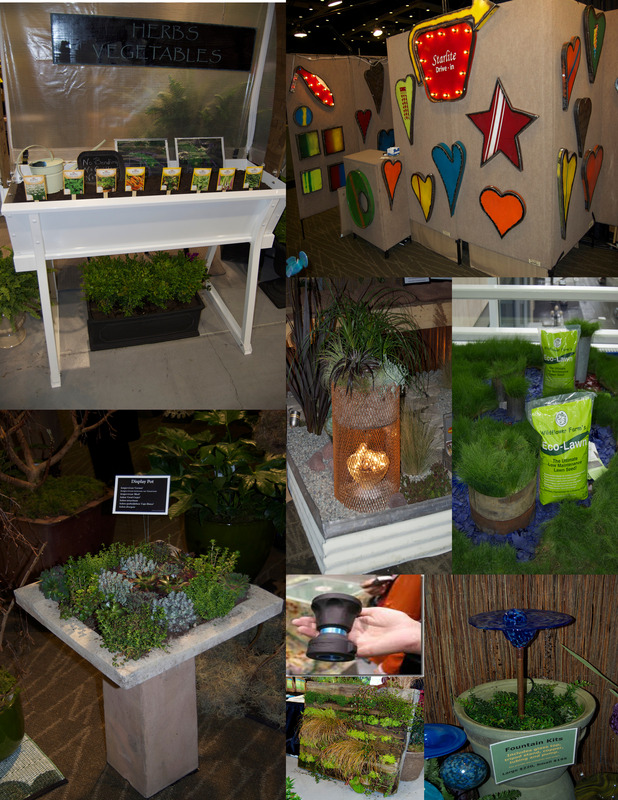 Thanks so much for the photos from the garden show. They are especially interesting with the skyline of the city juxtaposed. 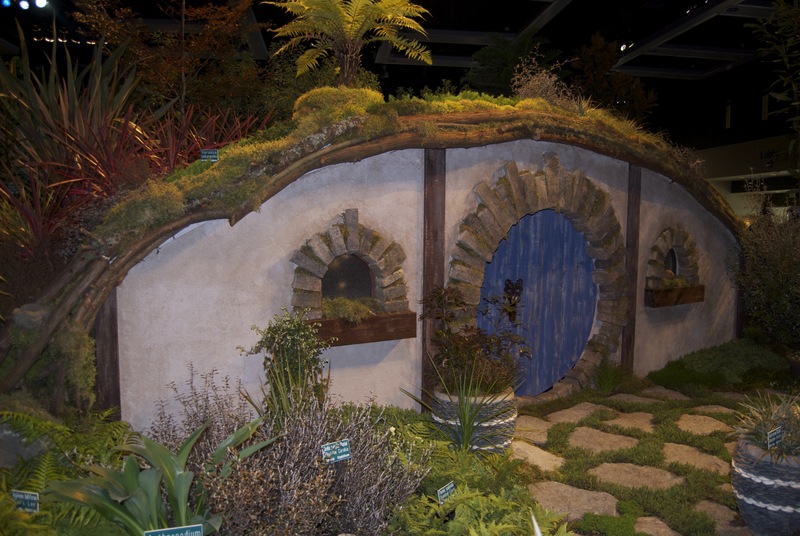 I LOVE the hobbit house and garden. Next year, let me know when you start planning this and I will go too! I’m glad you enjoyed our corner of the Northwest. My friend and avid gardener describes the show as ‘her favorite holiday” I love that! Happy Spring! 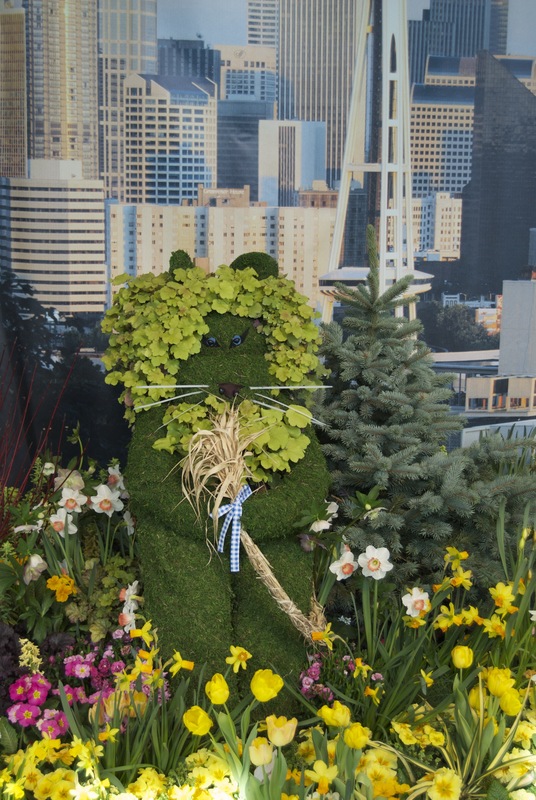 The Nortwest Flower and Garden Show is indeed a lot of fun. I really enjoyed seeing your pictures and reliving the event. I agree that I find all of the ideas really inspiring. I always like the unique gift ideas at the shows, it is always hard not to spend money. Ours is this week. What fun inspiration! But you are right in pointing out that sometimes inspiration makes us want things that aren’t compatible to our climates. So nice that the show also had seminars! That sounds like the kind of show I would love to attend!